Polished diamond prices declined sharply in September, eroding all the gains made during the year. The Mercury Diamond Global Tracker™ averaged 111.74 in September 2018, down 1.85% over August. This is the deepest monthly price decline since May 2015, when prices plunged more than 4%. Polished diamond trade was very limited during the month due to a series of Jewish and Hindu holidays. The price decline in September was not typical. Usually, when a large part of the industry is on vacation, such as in August, prices tend to be fairly steady. However, the holidays and resulting limited number of work days in September, were just part of the issue. In addition, the Hong Kong Jewellery & Gem Fair, which runs at the beginning of the month, usually sets the direction for pricing and demand. This year the show did not go well, among other things because of severe weather - super typhoon Mangkhut hit the island. The severity of the storm forced organizers to close the show early, reducing the number of days the show ran. In addition, high rough diamond prices forced traders to keep prices of polished diamonds steady. Coupled with low attendance, the total volume of transactions was lower than usual. Other contributing factors impacting the diamond trade were the exchange rates of the Chinese renminbi and Indian rupee against the US dollar, which impacts consumer demand in these countries; the brewing trade war between the US and China, and a hike in import tariffs levied on polished diamonds in India – from 5% up to 7.5%. Another issue in the trade impacting prices is an inventory glut of small size polished diamonds. This oversupply, met with a decline in demand, has deep implications for the mid-stream of the diamond pipeline, as well as diamond mining companies. In the MDGT™ report for August, we stated that traders find their price footing in the post-summer period at the Hong Kong show. Then they tend to raise prices and gauge the market’s reaction. If demand is strong, they keep the higher prices. If, however, buyers show resistance and buy limited quantities, prices start to decline until the right balance is found. We are in the latter and, at this point, with so many variables impacting prices, it is difficult to assess when that “right balance” will be found. MDGT™ is based on the transaction prices of diamonds weighing 1-30 carats, collected and used for the Mercury Diamond™ Price List. It provides wholesale polished diamond prices based on transaction prices in the wholesale market, and its primary purpose is to serve the wholesale market. Year-over-year, polished diamond prices are still below those of the previous year. In September, the index was down 2.7% compared to September 2017. This is the largest year-over-year decline of the index since September 2017. Since December 2014, the index has exhibited continued year-over-year declines. Although the trend of year-over-year price declines started in December 2014, the steep declines of 2015 appear to be over, and they have since tapered off, until now. The year-over-year declines of 2% or less has been steady since the start of 2018. It remains to be seen if the latest drop signals a change in direction. On a month-over-month basis, prices were down nearly across the board, pulling down the index 1.85% compared to August. Here too, the decline was steep and unlike the price fluctuations in past months. Polished diamond prices do not usually change dramatically. On a month-over-month basis, the change is usually within a single percent range, often just a fraction of a percent. Although on a monthly basis price changes also reflect seasonal factors that are removed in year-over-year comparison, the deep change in September reflects the unusual price change. The MDGT™ index is composed of the price performance of many different diamonds of many different size ranges, from 1 carat and above. In August, prices of round diamonds weighing 0.30-0.39 carats (thirds) dropped a dramatic 2.6% compared to August. Half carats also exhibited a sharp decline, losing 2.1%. In six out of nine months in 2018, prices of half carats posted a price increase. The price of two thirds (0.70-0.89-carats) also changed direction. In September, the size range declined 1.8% after posting a handsome 2% increase in August. The decline of these three size ranges (thirds, halves and two thirds) indicates that the period of price increases for these goods, fueled mainly by consumer demand in the US, is possibly over, at least for the now. Traders are suffering from high inventory levels of these goods and have reduced their purchases of rough diamonds that produce these goods. Prices of most of the larger round goods declined more modestly in September, with 1-carat rounds (1.00-1.49-carats) declining 0.4%, 2-carats losing 0.7%, and 3-carats declining by 1.2%. However 1.50-carats fared better, with their prices in fact rising by 1.6%. On a year-over-year basis, price behavior was very different. Last year prices declined sharply in the summer months. As a result, on a year-over-year basis, prices are up nearly across the board. This was true in July 2018 compared to July 2017, and even more so in August 2018 compared to August 2017, as more size ranges exhibited price increases on a year-over-year basis. In September, prices of several size ranges rose on a year-over-year basis. By the same token, prices of thirds were up 2.6%, and one-carat goods are up 3.9% compared to September 2017, and the prices of 3 carats are up 3.7% year-over-year. The prices of most other items are up by less than 1% year-over-year. The global diamond market is sensitive to direct influences, such as shifting demand, level of availabilities, trade wars, and severe weather. Although it seems that the sharp polished diamond price fluctuations of the past few years are gone, and changes are less volatile, September threw the market into a loop. There is good reason to believe that in the last quarter of the year prices will stabilize and improve, a typical seasonal behavior, yet that is not clear at this point. We have developed a system that collects transaction prices from a wide range of manufacturers, traders and retailers. These many monthly transactions are augmented by constant market research which backs, double checks, verifies and completes the transaction data. The system covers more than 18,000 polished diamond categories across the 4Cs, including polished diamonds weighing up to 30 carats with clarities ranging from Flawless to I3 in colors from D to P and in various shapes. The price list provides a price for a top stone without any irregularities.There is a separate table of irregularities, which provides the necessary discount or premium to find the exact current price of any particular diamond. This polished diamond pricing system was reviewed and validated by one of the Big Four accounting firms, and that firm continues to audit the price list monthly. The pricing system is currently in the process of obtaining a patent in the United States. Traders will not only find the current transaction price of each diamond, but can also “reverse engineer” to calculate the cost of rough diamonds by applying their manufacturing costs. We currently publish the price list monthly, on the tenth of every month. It is also available in the form of a ticker. Take a look at this important alternative, which has the potential to contribute to an important change in the market. Please download the list and test it. We offer it to you with the hope that you will consider using it regularly. The views expressed here are solely those of the author in his private capacity. No one should act upon any opinion or information in this website without consulting a professional qualified adviser. 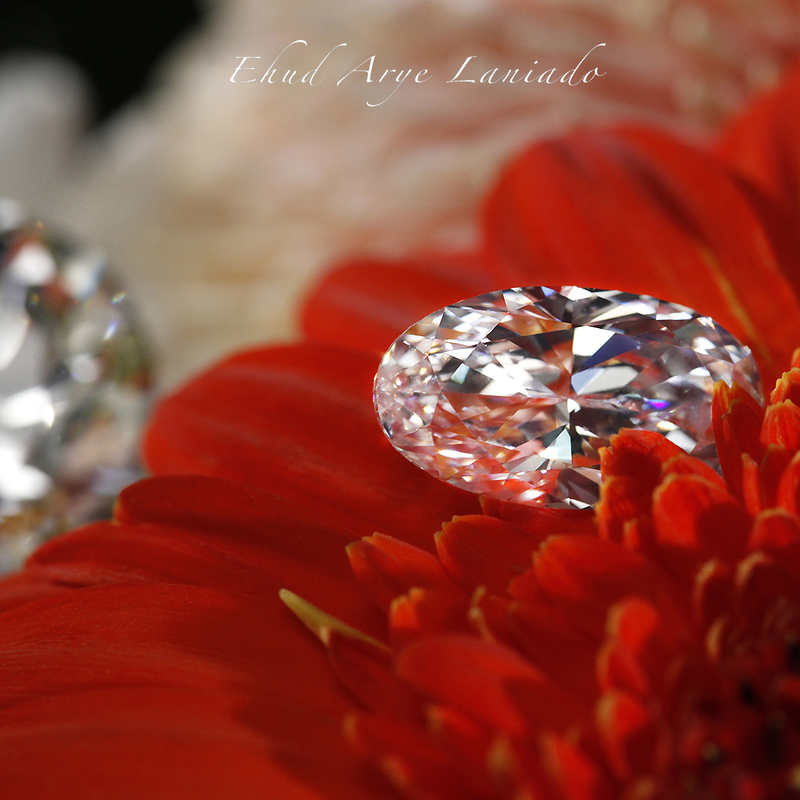 Diamond industrialist Ehud Arye Laniado is a man passionate about diamonds. From his early 20s in Africa and later in Belgium honing his expertise in forecasting the value of polished diamonds by examining rough diamonds by hand, till today four decades later, as chairman of his international diamond businesses spanning mining, exploration, rough and polished diamond valuation, trading, manufacturing, retail and consultancy services, Laniado has mastered both the miniscule details of evaluating and pricing individual rough diamonds and the entire structure of the diamond industry. 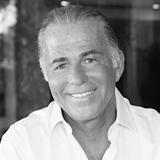 Today, his global operations are at the forefront of the industry, recognised in diamond capitals from Mumbai to Tel Aviv and Hong Kong to New York. Monday, 25 February 2019 Trade Show Season Is On. Do We Need it? I agree that my email address will be used for ad targeting, including through Facebook Custom Audience.